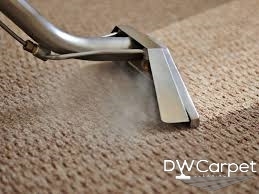 Steam cleaning is considered as one of the most appropriate carpet cleaning methods in case of heavy soiled carpets. It also helps in avoiding shrinkage. 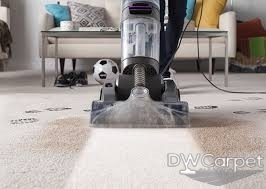 This process guarantees to clean your carpet with the deeply. Steam cleaning has a high satisfactory success rate of cleaning the stubbornest of stains. If the nasty liquid material has made the carpet dirty and unbearable, then steam cleaning is the way to go, as it will surely make brings back the luster in the carpet again. By propelling the cleaning agents direct on the carpet at a very high pressure we have been able to clean out heavy soil from carpets. When the dirt is got loosen up we use the powerful vacuum to eliminate any sort of filth completely. Dry foam shampooing involves scrubbing the carpet very gently with the shampoo which is water based. Because of the scrubbing, it helps the shampoo go deep into the carpet fiber and it loosen up the soil. Once the foam completely absorbs the dirt, it is immediately extracted from the carpet, so that it does not remain wet for a longer time. Compared to carpet maintenance which you do on daily basis, this cleaning method can be the better option. As the drying time is short, the carpet will be ready to use within a shorter time. Our specialists will focus on stained areas and provide more care in order to provide longer life span to the carpets. Apart from overall cleaning, spot removal is also very prevalent in Singapore. In such cases, specialist will find out the spots and will use the appropriate stain removals to clean those spots perfectly. By using specialized carpet stain remover, we can successfully remove adhesive stains, rust stains, stains from food color, oil and grease stains, and coffee stains. All the products used are eco-friendly. Apart from spot removals, the solution also becomes a kind of shield which doesn’t allow the soil to penetrate more into the carpet, protecting the carpet. Our experts clean the stains at record time. Therefore, the chances of restoring the carpet increases with our carpet washing service. We keep the carpet as dry as possible during cleaning. You will not see your carpet getting overly wet. We only use our best chemical and natural non-toxic solutions for the cleaning. We never use household detergent for cleaning purpose as it can damage the carpet. We don’t apply carpet shampoo in Singapore on the cloth directly. So, there is no chance of a chemical reaction. We use a different cloth or a sponge to use the fluid on the carpet. We first test our carpet shampooer on one area of the carpet before doing the same for the full carpet. We always maintain the required dilution ratio to get the best result from the solution. We don’t scrub or rub on the carpet. We gently remove the stain from inward to outside. It does not allow the stain to spread any further. We try to dry the carpet as quick as possible. We keep the door and the windows open to do so. We provide different cleaning service in Singapore. So, you can contact us for the following cleaning services for your carpet. With the variety of cleaning options, we can ensure you that the carpet servicing will be done with the utmost quality. 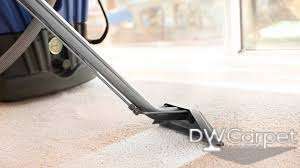 So, if you are looking for a commercial carpet cleaner in Singapore which can offer you a variety of carpet cleaning services with the most satisfactory quality level, then you can surely consider Dw Carpet Cleaning. We are always ready to provide you the best possible service with professionalism and quality work.